Adhi College of Engineering and Technology was established in the year 2008-2009, with the Approval of Government of Tamil Nadu and AICTE, New Delhi. As per Government, subsequently the college is affiliated to Anna University Chennai. The working environment is such, Students as well as Faculty, are inspired and supported to attain high standards of Education and skill sets and shine in their chosen path. Faculty, with their impressive Academic, Research & Industrial experience, lead the students to achieve 'Excellence' and 'Competence'. Institute offers 6 Under Graduate (UG) covering Engineering & Technology, Management Course. Usha Fire & Safety Equipment Pvt. Ltd.
Hinduja Global Solutions Pvt. Ltd.
NSS: National Service Scheme Camp was conducted every year at various places. The College organized Awareness Rally on “Pollution Free World” from our College Campus (Sankarapuram) to Wallajabad Bus Stop. Youth Red Cross: Students have been consistently showing enthusiasm & progress. They have won prizes in competitions hosted by leading Institutions. Library: A modernized well-stocked College library is housed in a well-ventilated spacious area of 3000 sq. ft. with all comfortable and user-friendly reading facilities. Hostel: The hostels are housed in two 10,000 sq. ft - blocks each with spacious living rooms/ dormitories well-furnished with cots, study tables, storage facilities etc. The inmates are assured of all comfortable and healthy life style amenities –proper study, wholesome food, rest and recreation hours, all in a safe and secure ambience closely monitored by caring wardens with resident faculty also complementing the services with tutorial help or ego support whenever needed. 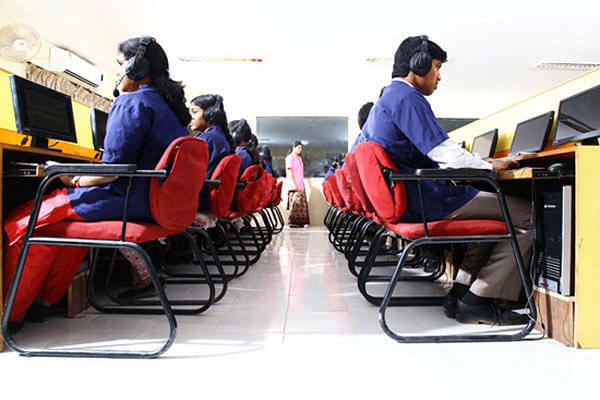 Internet: College has 8 mbps Internet connectivity through BSNL leased line. Government of India & TamilNadu Government scholarships are given to help for SC/ ST/BC/MBC students. “Achiever Award”: University Rank Holders and Department Toppers. Fee concession of Rs.5000/- in the subsequent academic year: for students achieving 100% attendance, both in odd and even semester of an Academic year.